Google Camera ports are getting famous day by day due to its amazing HDR+ feature which works on non-Google devices. These apps are specific to Pixel phones, thanks to the developer for porting to a wide range of devices. Initially, these Camera apps built for Snapdragon devices, but now, some great developers had worked out to run on Exynos phone too. Samsung Galaxy S9/S9+ that comes with Qualcomm Snapdragon 845 faced random reboot issues while using Google Camera ports, but the latest update eliminated all the bugs. So, this Google Camera APK with HDR+ will perfectly work on both the Snapdragon and Exynos chipsets. Although the HDR+ mode works correctly, the Pixel 2’s portrait mode lacks here. However, the developer behind these ports already confirmed that they would bring working portrait mode too, once Google Pixel 3 release. 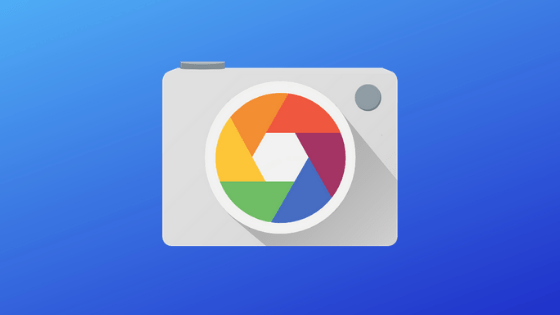 How to Use Google Camera App on Galaxy S9 and S9+? The Snapdragon port was created by Senior XDA Member xterminater07, thanks to him. The Camera app works flawlessly on Galaxy S9, and S9+ provided, if you follow the instructions, and select the correct settings. In the B-S-G mod settings, you should set the model to Google Pixel 2 XL. Also, enabled Google Pixel’s auto-HDR+ to get better performance. Otherwise, this app may be unstable for you. The Exynos Google Camera port was made by Senior XDA Member IDan1109, all credit to him. This port is almost similar to Snapdragon port but works only on the Exynos edition of Galaxy S9 and S9+. The only problem encountered on this port is that, depending on the environment, the snapped images can be over or underexposed and have a green tint. This issue can be fixed by clearing data and cache of the app from the setting option. The portrait mode also does not work perfectly here. But the Live Focus is built into the stock camera so that it can be used instead of portrait mode. XDA Developers are working great, and we expect more improvement in the future updates. Google Camera usually produce better pictures as compared to the stock one. Samsung provides regular updates to their software, but in my view, Google Camera perform better than Samsung’s own camera. The Google Pixel’s HDR+ is the best. Moreover, the Google’s Pixel 3 will release soon, and we expect the new Pixel 3 Camera port soon from the developer community. At first, download Google Camera APK file for Samsung Galaxy S9 / S9+ on your PC. Now, connect the phone to the PC by using a USB cable. Next, you need to enable MTP/Transfer Files mode on your Android device. Then transfer the downloaded APK file to the storage of your phone. Then, open the file manager app on your phone. Now, you need to navigate to the location where you transferred the APK. Next, tap on the ‘Google-Camera<file-name>.apk‘ file. Now, you must follow the on-screen instructions and install Google Camera App with HDR+ Mode. Once the installation process is over, then open the app drawer and launch the new camera app. As you launch the app for the first time, you see prompts to seek required permissions. Then, you would see a few infographics. This would help you can get accustomed with the Google camera app with HDR+ mode. Finally, the viewfinder screen is launched. Simply swipe the screen to enable HDR+ mode on the Google Camera app. Once you see the HDR+ Mode ring on the screen, you can move the control buttons to adjust white balance, shutter speed, ISO, and exposure compensation. App crashes on S9 plus when portrait mode is turned on. Also front camera is not working. I have cleared cache memory and tried few other things as well but nothing helped. Can you please uninstall and reinstall the same again? I tried to download both however, it keeps on crashing when I open it. ?